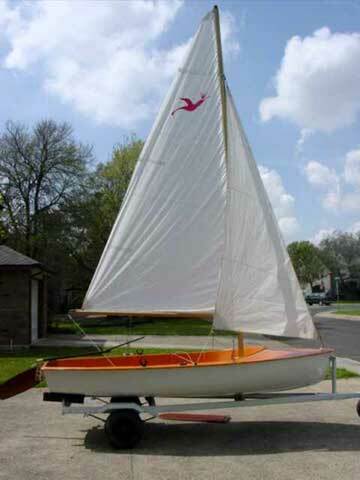 Here's a pretty little boat that would be a great first boat for teaching a junior sailor but that is also large enough for a pair of adults to have a blast in. 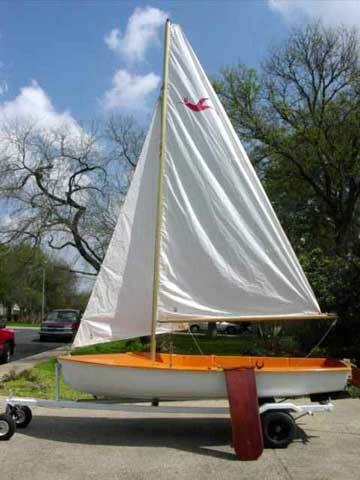 As it has both a main and a jib, a new sailor can quickly graduate to a larger boat after mastering the Koralle. 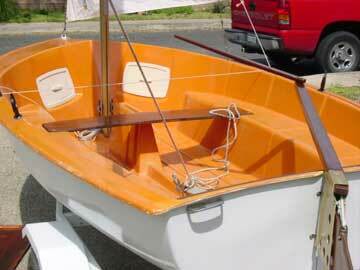 It also can be used as a rowing dinghy with the included oarlocks or as a yacht tender. 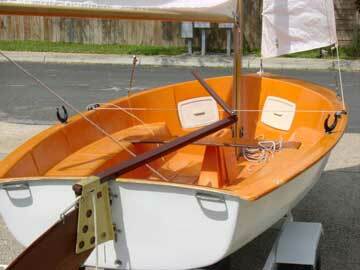 This high quality sloop was built in West Germany. 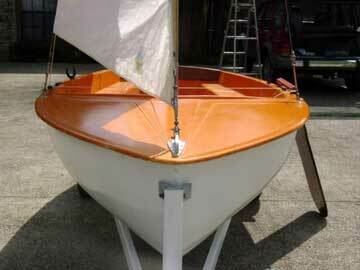 The hull and deck are in great shape; the gel coat on the deck is nice and glossy and there are no soft spots. The jib and mainsails are white and crisp. The mahogany ply center board, rudder, transom trim, tiller and thwart board have all been refinished with good quality spar varnish. The gold anodized aluminum spars are in great condition and are true. It has a hiking strap and built in positive foam flotation. The trailer was recently refinished with premium quality white enamel paint. The tires are good, the bearings have been re-packed and the lights work. No registration or title required here in Texas for boats under 14'! Will furnish a bill of sale for the shop made trailer. Hi Dave. My boat was sold so quickly it made my head spin! Please mark this as sold. I will be sending a contribution to be used for your favorite charity. Thanks again for all you do for sailing in South Texas.